Kosher, Halal Approved, Suitable for Vegans, Soy Free, Dairy Free and Gluten Free. So whether you are a tri-athlete, cyclist or bodybuilder needing energy pre, during or post workout, our pharmaceutical grade Dextrose is the ideal carbohydrate to be used with plenty of water and possibly a fast acting protein, if recovery is the main goal. 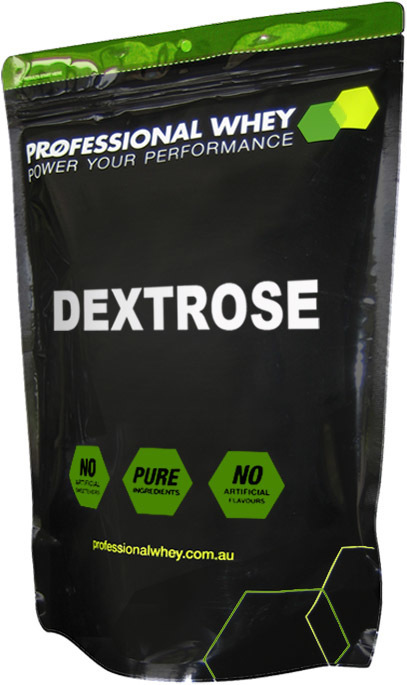 For a synergistic recovery effect combine Dextrose with Maltodextrin in a 50/50 ratio. Mix 50g (one level scoop) of Dextrose into 500ml of water. Best consumed during or after sustained strenuous exercise, to assist with energy, recovery & glycogen replenishment. I mix this with creatine monohydrate and maltodextrin as a post-workout shake. I find it also helps fight sugar cravings. I usually always use maltodextrin for all my shakes though i decided to go with dextrose for the last order. It mixes very well. It is a bit sweeter than the Maltodextrin so i tend to use a bit less than scoop to not over power the flavour of the protein. Works very well right before and right after training, kicks in a bit quicker than the maltodextrin. Definitely quality pure great value product. I love this product as a source of carbs, energy that's easy to manage. I put this as a regular part of my routine for intra workouts, as well as post workouts. I definitely notice the difference when I don't train with it. I mix this in when I take creatine post workout. It is very fine and dissolves easily. I've also used this in my water bottle when out riding for a boost in energy. Can definitely recommend. my mates recommended me this product. give it a go. and i must said awesome. great value. pure stuff that work and help your body growth. worth every penny for it. i ll defenitely come back for more when im finish this bag. love it. make my post workout taste much better. I was looking for a sugar substitute online and come across professional whey. I ordered a 5kg bag, and soon had it in my possession. The white powder is very light and sweet, without being over-sweet. I am enjoying making all my favourite sweet recipes, knowing that this is a much better product for me than regular toxic sugar. I will definitely try out other products that Professional Whey stock, as I believe now I'm on to a good thing, as I'm trying to lose 10 kilo's. Its was the 1st time I have dealt with PW and the 1st time i have used Dextrose. I was surprised of its effectiveness during my 260 Cycling Race. It kept my energy up during the time i was actually stayed in the race. It gives a boost to my recovery and the healthier option as advised by my naturapath. Love this product. 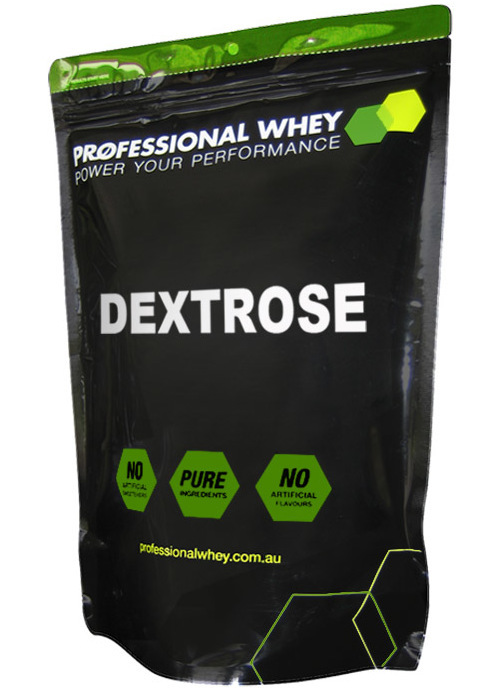 It is the first and only dextrose product that i have and will ever use. It dissolves very easy and contains the only ingredient you need and none of the other fancy names you see on the other brands. Plus it adds its own little sweetness to your pwo shakes if you don't use any sweeteners. Highly Recommended! Great product, awesome value for money! Excellent product & great value for money! This is the best carb supplement I have tried. Most have added sweeteners which taste overly sweet. This one tastes good and works well with Professional Whey's Egg White Protein Powder to make a great post-workout shake. You can add your own flavourings to suit your taste - I like to throw in a handful of mixed frozen berries and the pulp of a Panama passionfruit. Plus, it's excellent value for money! I can't fault the product. Delivery is super-fast as well. Only comment is I buy 2x5kg bags and you definitely need a tub or good 8L+ container to pour the dextrose into - the resealable bag it comes in will only waste your time trying not to make a mess and then stuffing around resealing each time. Another high quality product from Professional Whey. What I always expect from Professional Whey! Quality product. Digestion is easy.